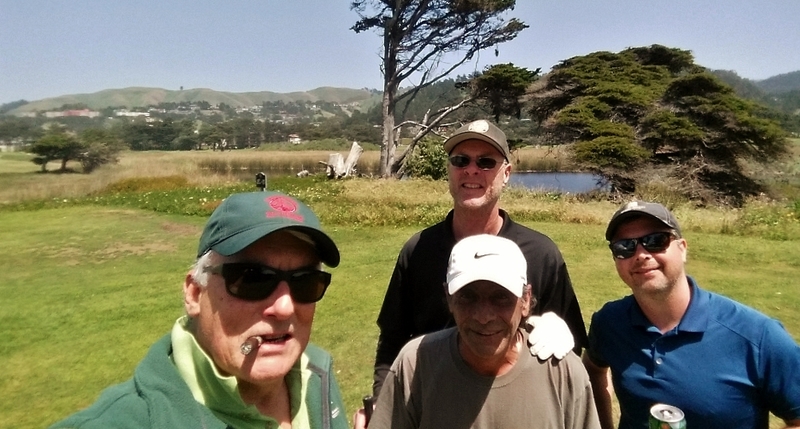 I have my foursome lined up for the 6th Annual Alister MacKenzie Benefit Tournament to Save Sharp Park on June 3. Between now and then I'll mostly be fishing at Shag Lake in Michigan. This was my last chance to play the muni course before heading East. After our record breaking El Nino winter rains, the course was barely open and not really playable in our last outing at the track in March. The good news is, this day, the course was not only playable, but actually in reasonably good condition on most (but not all) holes. There is still evidence of a lot of tree damage that has yet to be addressed, and even some recent dangerous tree falls. 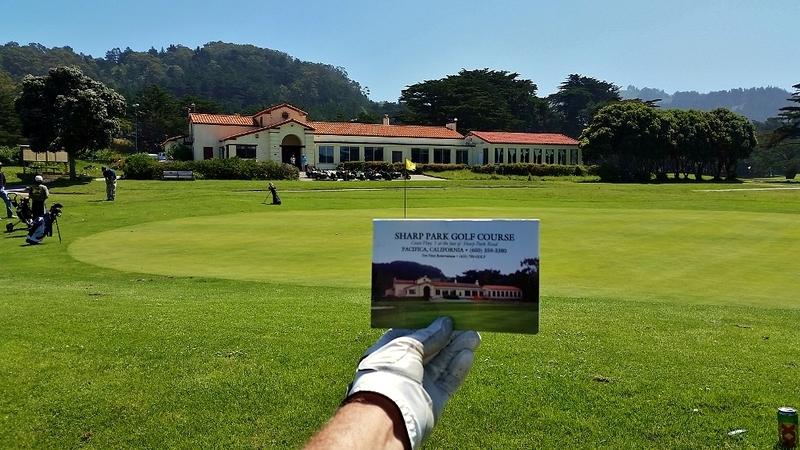 Since tree work was a major component of the San Francisco Rec and Park Natural Resources Plan recently approved by the SF Board of Supervisors, I am hoping to see some City action to maintain and cut dangerous trees on the course before someone is hurt. Stay tuned. I scheduled the round with Brad and the starter partnered us with Steve and Matt. Couldn't ask for a nicer day. 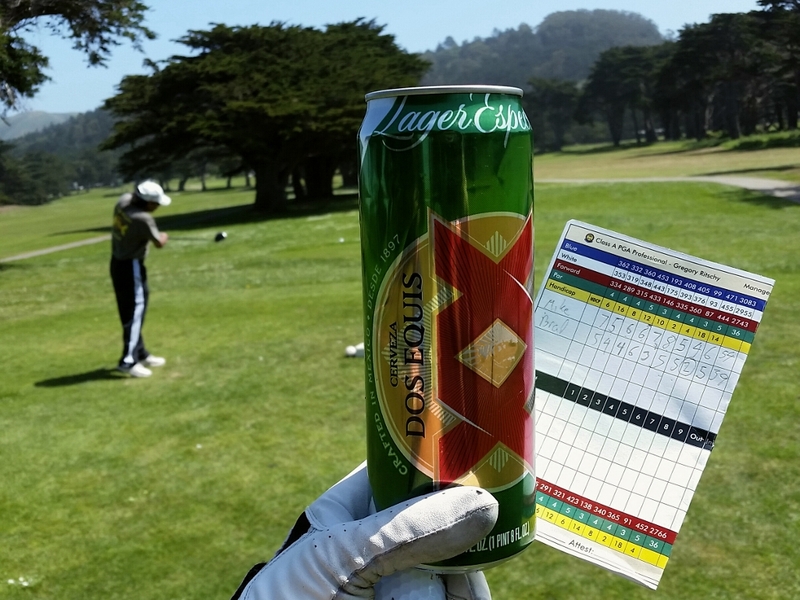 Just a beautiful day for golf on a beautiful course. Brad's approach on 3rd fairway. That's my drive 10 yds in front of him. Matt stripes one on 14 - right next to my drive. Both of Steve's drives on 14 - first left, then right. Steve goes for it on 18 with his 2nd shot, which would have been great except for that tree. It was a fun day despite the score, hope to see these guys out here again. Mike, I'm looking forward to the annual Shag Lake report.